Celebrate National Hispanic/Latino Heritage Month with us at the Detroit Children’s Museum on Sept. 25. We have a wide variety of special activities for all ages. Explore the fall night sky; learn about the Harvest moon and other constellations in our night sky planetarium show. * The yarn painting workshop has limited space. We will try and accommodate all participants on a first come, first served basis. Recommended for children age 4 and up. The weather’s getting cooler and what better place to play than at the Detroit Children’s Museum? This week we are celebrating National Hispanic/Latino Month. We have several new exhibits celebrating this proud culture. 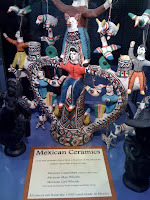 Check out our Mayan artifacts, sombreros and other treasures. The theme of this coming Saturdays are Special on Second is Hispanic/Latino Heritage Day. Please join us on the final Saturday of September for hands-on fun, stories, arts, crafts, and more. We have been very busy creating exhibits that will bring people back to see more! With our extensive collection, we will be continuously changing out the display cases. We are also committed to creating more hands-on exhibits that will engage children who learn as they play. I just filled two new display cases with Latin American historical pieces. We have a collection of funeral sculptures from the Mayan Civilization that are over 3,000 years old. I have more new display cases, which I will be filling soon also, probably with more Latin American artifacts for Latin American Heritage Month. Our new Native American exhibit just opened with a buffalo hide from the Battle of Little Big Horn. It is arguably the most culturally significant piece we have in our collection. It is beautiful to behold, decorated by the Native Americans of the West. There is a chief's head dress from the north west coast tribes also featured in this display case. We also opened an Egypt exhibit case with a Tom Cat mummy that is over 2,500 years old and complete with x-rays. There are also a few pieces of tomb art that date from that time period. We have also opened our new Vet Lab, the general store called the Silverbolt Grocery Store, and our Silverbolt Mine, where kids can dig for treasures and get a prize if they find a "gold" piece. We have a new Magnet Table for kids to enjoy the power of magnetism "it draws them every time." That is just some of the new eye-opening items on display at the museum. As you can see, we are excited about the happenings around here. If that doesn't sell you, admission is very affordable and parking is free! How can you beat a family of 4 for $12? Don Bogart is the Curator for the Detroit Children's Museum. Don also has experience in building exhibits and is always anxious to receive any gifts-in-kind to add to our collection. You can contact Don at dbogart@sciencedetroit.org. We are closed this week as we build an even better Children's Museum, but I wanted to tell you what's in store for you when we re-open on September 13. We are adding two new exhibits this week: Zookeepers Place and Silverbolt Grocery Store. These special permanent exhibits will allow our young visitors to explore the world through the different jobs found in zoos or grocery stores. Zookeepers Place-Visitors will be able to take on the role of a zookeeper and feed the animals or as a veterinarian and make the animals feel better by looking at x-rays, bandaging up any boo-boos on the animals or just hugging the stuffing out of them. Children will learn the zoo is a place where all kinds of wild animals are kept and taken care of. Silverbolt Grocery Store-Join the fun in this interactive grocery store. Kids will be able to shop for food, be a cashier, bag it up, and even restock it again. We are looking forward to starting this new school year. Check out the website for our latest Saturdays are Special at the DCM as well as our HomeSchool Days. 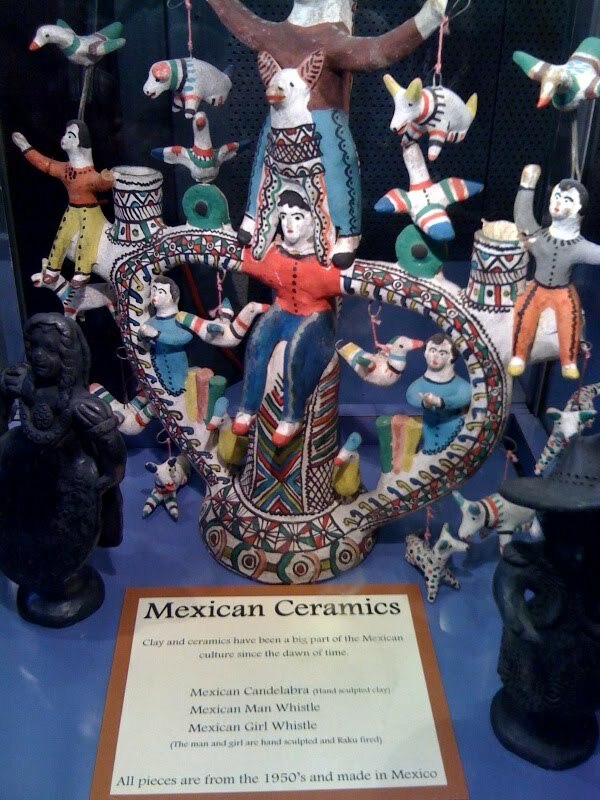 Sept. 25 We have a special National Hispanic/Latino exhibit as well as Popcorn Popping Fun. Join us for these great events!